The Australian Defense Department has been urged to investigate allegations that local universities have illegally shared military technology with China as the country mulls over concerns of Beijing’s interference in its domestic affairs. Speaking to ABC, former senior defense official Peter Jennings said it is likely that Australian universities were flouting stringent export controls on technology that can be used for military purposes. Jennings, now the executive director of the Australian Strategic Policy Institute, told the national broadcaster that the country’s Defense Department needs to immediately conduct a thorough investigation. “The department should now be looking to audit the performance of universities because we are talking about the mass migration over to Chinese interests and that’s not in Australia’s commercial, or indeed national, security interests,” Jennings said. Australia’s renowned universities carry out world-leading research in several areas that could be used for military purposes. There are stringent rules prohibiting the sharing of research that could be used for military purposes by the country’s possible adversaries, including the People’s Republic of China, ABC reported. In July, local media published reports detailing cases where Australian universities had been doing that. 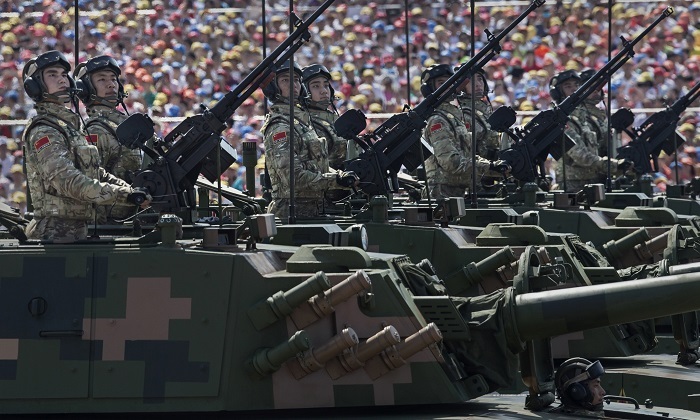 “Beneath the radar, Australian universities are helping give China the technological leadership” in advanced military and ­industrial technology “it craves”, said Clive Hamilton, professor of Public Ethics at Charles Sturt University in Canberra, reported The Australian on June 9. But the Defense Department said it depended on self-assessment from the universities themselves to police their academic interactions with overseas representatives. “It is ultimately the responsibility of each institution to ensure they comply with the law,” the department told the ABC. In his investigations, Hamilton uncovered hundreds of research projects involving Australian scientists with senior Chinese military figures. He told ABC many of those partnerships could mean Australian technology could be used against the country in a war situation. “There is no doubt some of the technology they are working on is being applied to improve the battle readiness of the PLA,” Hamilton said. He said the issue could damage relations with the U.S, who remains as Australia’s biggest strategic ally. “I know that our research is being carefully read in Washington and hard questions are being asked of the Australian government,” he said. Concern over the links between Australian universities and the PLA comes amidst media reports of Beijing’s interference in Australian domestic affairs, which have resulted in the federal government recently introducing tougher foreign interference laws. Among the headlines the issue has generated include how Australian Labor Party senator Sam Dastyari resigned this week over his alleged links with political donor Huang Xiangmo, a wealthy Chinese property developer with ties to the Chinese Communist Party. “The past 10 days of Australian politics show us what the next 10 years may look like, in terms of how Australia shapes up to its biggest strategic challenge: protecting our interests from an aggressive, nationalistic China intent on dominating the Asia-Pacific,” Jennings wrote in The Weekend Australian. Please support independent journalism by sharing this article. Thank you very much!